1. A plaid blanket scarf. Love this super soft and affordable one from Nordstrom. Throw it on with jeans and a tee and you'll instantly look chic. 5. A unique, delicate bracelet. This drusy bangle by Vitrine Designs is gorgeous and adds a bit of glam to any ensemble, even on a casual weekend. 6. A great lip-gloss. I'm the kind of girl who always has to have something on her lips, and this "Lucky Lips" gloss by Rae Cosmetics travels with me every where these days. It's the perfect pop of color and shine, wearable alone for daytime casual as well as layered over lipstick for a night out. 7. 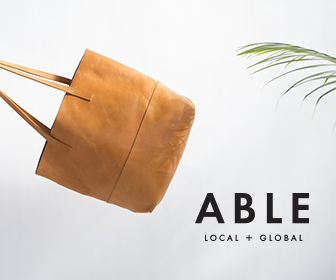 A go-anywhere tote. This Anthopologie tote is perfection, and surpringly affordable, too. It's one of my most-favorite recent finds! I use it as a laptop/book bag, an airplane carry-on as well as for long days of errand running. P.S. Congratulations to Jennifer Pighini who is the winner of our $75 Accessory Concierge gift card giveaway!